New neighbors moved June and our quiet neighborhood has been overtaken by barking dogs and a boy’s temper tantrums. I am not sure to be happy they are renters and not owners (and hopefully won’t stay long) or sad they are not home owners and might care more about their impact. It is out of my control I guess and I am glad that we put up this privacy fence. 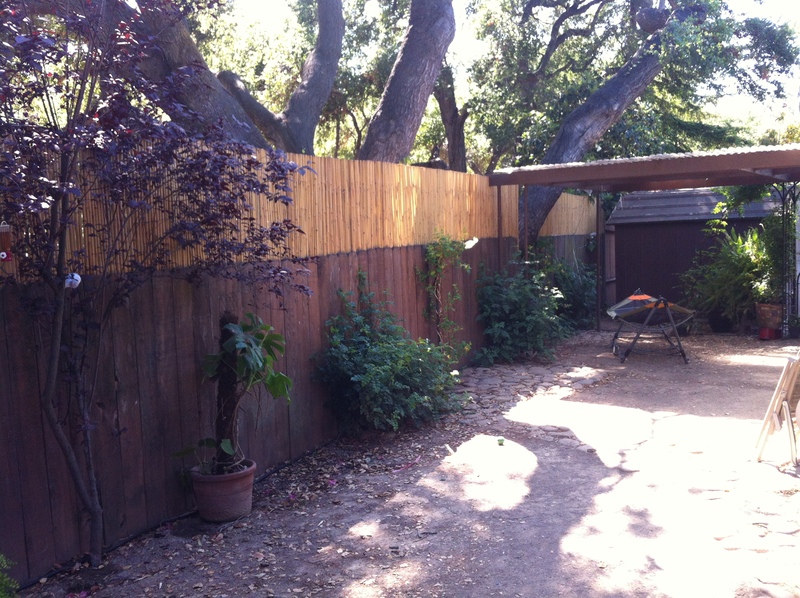 The lower dark part of the fence was there when we bought the house and we just added the lighter top bamboo to make it a 6 foot fence. In May we bought the humming-bird plants and honeysuckle and put them in the ground here. The plan is for this to become a living wall to help buffer the visual aspect but maybe some of the sound too. I’ll post follow-up pictures below over time to show the growth. I am thinking it will take a year to fill out. Hopefully it will be lush with yellow and red alternating flowers if we did it right!